The gist: Save up to 62% off nightly rates for a City Room; 60% off a Studio Room, and 53% off a Metropolitan Room with a two night minimum stay. Fine print: Rates are subject to a 10% service charge and 7% government tax. Nightly rates: $99 for a City Room; $119 for a Studio Room, or $150 for a Metropolitan Room. Offer valid until: September 30, 2009. The gist: Book 40 days in advance and receive a 40% discount; 30 days in advance for a 30% discount; 20 days for a 20% discount, and 10 days for a 10% discount. Fine print: Receive complimentary daily buffet breakfast for two for reservations made more than 10 days in advance. Nightly rates: Rates begin at $199 for a Deluxe Sea View room. Offer valid until: December 20, 2009. The gist: Book five nights and receive two additional nights complimentary and daily breakfast for two. Fine print: Take advantage of the Early Bird special and book more than thirty days in advance to receive one complimentary aromatherapy massage per person. Nightly rates: Rates begin at $466 for a private Pool Villa. Offer valid until: July 31, 2009. The gist: Book more than 50 days in advance for two nights in a room or suite and enjoy a third night complimentary. Fine print: Receive daily buffet breakfast for two and 25% off meals at the resort’s restaurants and spa treatments. Nightly rates: Rates begin at $253 per night for a room; minimum stay of three nights required. Offer valid until: December 12, 2009. The gist: Book three nights in a room or suite more than 30 days in advance and stay a fourth night free. Fine print: Includes a 25% discount at the resort’s restaurants and spa treatments. Nightly rates: Rates begin at $166 from now until July 15. From September 1 to December 26, nightly rates start at $199. Offer valid until: July 15; September 1 to December 26, 2009. Click here for all special packages from Anantara. For a list of Metropolitan Bangkok offers, click here. Does the usual afternoon check-in, morning check-out hotel policy leave you feeling a little robbed? Wouldn’t it be nice to sleep until noon, just once in a blue moon? 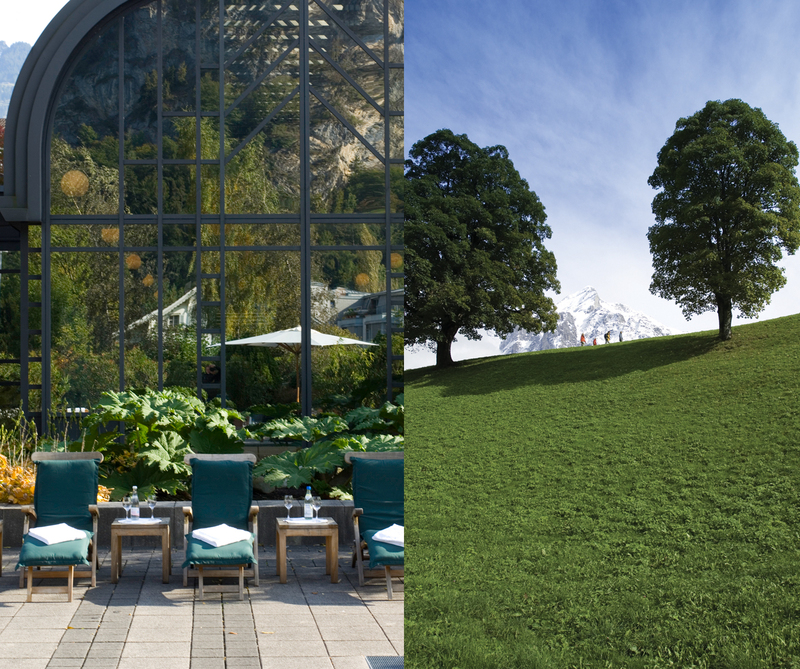 The Victoria-Jungfrau in Switzerland has just introduced the ‘30 hour day.’ Guests now can stay 30 hours for each night they book – an extra six hours on top of a 24-hour day – and check in whenever they like. In other words, arrive at 11 am on Saturday and stay until 5 pm on Sunday. Or book three nights and you could arrive at 5 pm on Friday and leave at 11 am on Tuesday, effectively getting that fourth night for free. This can be applied to all stays booked at rack rate and can also be combined with the Victoria-Jungfrau Classic offer (which includes full breakfast and dinner.) There’s no advance booking requirement or minimum stay, they just ask that you let the hotel know when to expect you. Old World hospitality at its finest. We love the idea of having much more time to chill in the vast, beautiful spa or the vast, beautiful Alpine setting of this luxe resort. And if we were going in, say, June, we would surely take advantage of the mountain bikes that the hotel keeps on hand for any guest who wants to head for the hills, free of charge. Want your marriage to literally “make a splash?” Imagine this: you, your loved one, and a Divemaster, making things legal out there beneath the Andaman Sea. Anantara Si Kao in Thailand offers this very unique wedding experience as a way to bypass all the hoopla that surrounds a wedding ceremony and instead get hitched in an aquatic, intimate ceremony. That is, of course, if you don’t mind the audience of sea creatures that are sure to swim by for the big day. Beaver Creek is hosting its annual Blues, Brews & BBQ festival Memorial Day weekend, May 22-24. These are a few of our favorite things, and what’s a better way to salute the start the summer? Highlights include three free outdoor Blues concerts and culinary demonstrations prepared by top BBQ chefs from Kansas City, Des Moines, and Colorado. Supermodel Kate Moss paid a visit to Maldivian luxury resort, Naladhu, this past week, and what did she think of her holiday? Loved it! In fact, she told a staffer that it was her best holiday ever. The 19 individually decorated private villas are hotter than ever, attracting celebrities and star gazers alike to the pristine, white sand beaches of Velighandu Huraa island. What would a private house with an outdoor bath, infinity pool, Wi-Fi, Bose home theater system, and view of the Indian Ocean cost? $2,420 per night from now until December. The cost of seeing Kate Moss on the beach? Priceless. Cycling through the countryside couldn’t be more quintessentially British. So why not experience some of Great Britain’s beloved sites on a bike as a member of The Royal Oak Foundation – U.S. affiliate of the National Trust of England, Wales, and Northern Ireland. Membership to Royal Oak – just $55! – grants free admission to all of the Trust’s properties (over 300 historic houses and gardens, 700 miles of coastline, and 620,000 acres of countryside). Over 100 of these are close to the National Cycle Network, and some offer perks such as “tea-room vouchers” for on-site eateries to those visiting on two wheels instead of four. Pedal away! Ashridge Estate, Buckinghamshire – Keep your eyes peeled for fallow deer and fungi! Learn about the Duke of Bridgewater Monument and Iron Age fort found on five family-friendly routes that run around the vast ancient woodland and rolling chalk grasslands of this estate. (For more information call 01494 755557). Barrington Court and Montacute, South Somerset – Ease round a gentle 20-mile circular bike ride along an old railway line and quiet rural lanes with stunning views of the Quantock Hills, the Blackdowns, and the Somerset Levels. This is an area famed for its orchards, which make great homes for birds, butterflies, and cider-makers. (For more information call 01460 242614). Blickling, Norfolk – Choose from a wide range of bikes to hire and pedal on any of the network of cycle paths around the park and gardens. Look out for a mile-long lake, a pyramid-shaped mausoleum, and a brilliant variety of birds and flowers, with bluebells blooming in spring and skylark singing in mid-summer whenever the sun is out. (For more information call 01263 738030). Box Hill, Surrey – Box Hill’s woodlands and chalk downs are a popular destination for a family bike ride. If feeling energetic, follow the winding road up to the summit, or stick to the less strenuous bridleway along the side of the hill and look out for the dozen species of orchid in the early summer months. At the crest of the hill, perseverant bikers are rewarded with a spectacular view – on a clear day, one might even be able to spot the sea! (For more information call 01306 885502). Clumber Park, Nottinghamshire – Discover the northernmost part of Sherwood Forest by hiring bikes to pedal around 20 miles of cycle routes where you can encounter Europe’s largest lime tree avenue, over 200 species of birds at the lake, and exotic plants in the Pleasure Ground. Recharge with a tasty meal at the refurbished restaurant made of ingredients from the kitchen’s garden. (For more information call 01909 544917). Coniston, Cumbria – With a range of gentle lakeshore and woodland bike rides, pedal-power is one of the best ways to experience this stunning corner of the Lake District. Coniston Water is the famous site where motorboat racer Donald Campbell travelled at over 300mph in the Bluebird on the lake. While one might not reach that speed on a bike, it will be all the better for enjoying the views and spying the wildlife en route from birds and butterflies to Beatrix Potter’s favorite Herdwick sheep. (For more information call 01539 441197). Erddig, Wrexham – The best way to see the estate’s parkland, woodland, and rolling farmland is to hire some of their bicycles and set out with a cycle map along one of three routes and explore the vast country park. Children will love the chance to let off steam and uncover the park’s wilder residents – from farm animals to fungi, ancient trees to bumble bees. Finish up with a little refreshment in the restaurant. (For more information call 01978 315151). Gibside, Newcastle and Gateshead – With red kites whirling over the treetops, Gibside feels a million miles away from the hustle and bustle of the Tyne quayside. The route is dotted with great picnic spots and spectacular vistas where one can refuel before freewheeling the eight miles back down the Derwent Walk to Newcastle. (For more information call 01207 541820). Plymbridge Woods, Devon – This gentle 10-mile cycle ride stretches from Plymbridge Woods up the valley, over rivers, across breathtaking viaducts, and through a tunnel to Dewerstone Woods. It’s a lovely bike ride all year round; early summer offers the added bonus of close-up views of peregrines and their chicks nesting on a cliff in the Cann Quarry. (For more information call 01752 341377). 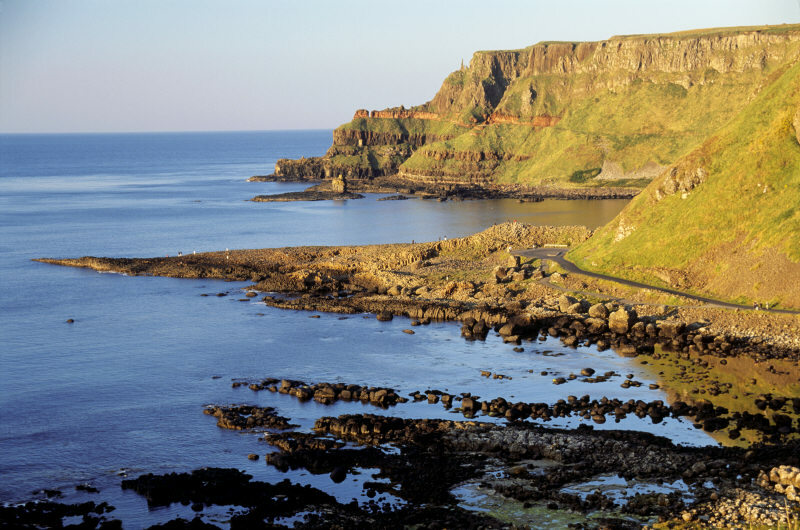 Portstewart to the Giant’s Causeway, North Antrim Coast – This 12-mile circular cycle route around a Blue Flag beach and Northern Ireland’s only World Heritage Site offers the chance to explore one of the most famous and beautiful stretches of the North Antrim coast by bike. It’s a great route for budding wildlife-detectives, with seabirds and porpoises to spot and lots of cliff top and heathland flora too. (For more information call 028 2073 1582). Note: Most properties have cycle parking on site or nearby, unless stated otherwise. For more information and for downloadable cycle routes visit http://www.nationaltrust.org.uk/cycling or the individual property pages. Summer travel to the Caribbean just got a whole lot sweeter. Parrot Cay just announced a pretty amazing early bird bonus to their 7 for 5 deal. In addition to 7 nights for the price of 5, if you book and pre-pay by June 1, you get complimentary half-board (dinner) each night. And the average cost of dinner for two is about $150. The fine print is that this early bird special is valid for new bookings from June 1 until September 8 2009, bookings are non-refundable, and a minimum stay of seven nights applies. Find the full details of Parrot Cay deals including their 4 for 3 deal here. On the Riviera Maya, Rosewood Mayakobá just announced the “Rosewood Escape” offer for this summer. While summer rack rates begin at $590/night, rates with the “Rosewood Escape” begin at $395/night and include a $100 resort credit and daily breakfast (not normally included.) “Rosewood Escape” bookings made by May 15 will receive an additional $100 resort credit. A four-night minimum stay is required. Details here. 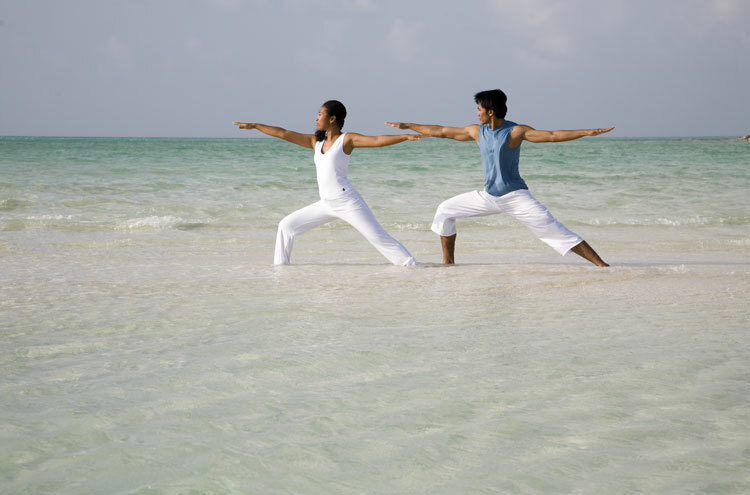 COMO Hotels’ exclusive, luxurious, and life-changing yoga retreats are taught by top yogis in unbelievable settings. Returning gurus this year include the dynamic married duo Rodney Yee and Colleen Saidman, and Australian yoga expert Judy Krupp. Newcomers joining the A-list roster are Elena Brower and Sarah Powers. These intimate workshops provide nearly five hours of daily practice with the masters and are held at COMO Shambhala Estate in Bali, Parrot Cay in Turks & Caicos, and Uma Paro in Bhutan. Students at all levels have unparalleled access to these yoga rock stars, as well as to the renowned COMO Shambhala Retreat spas. 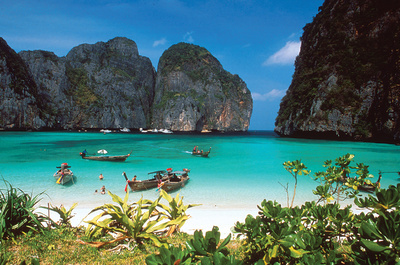 The weeklong programs include six nights accommodation, most meals, and airport transfer. Single occupancy rates start at $5,681 at Parrot Cay, $3,515 at The Estate, $4,668 at Uma Paro; and double occupancy rates begin at $8,669 at Parrot Cay, and $7,056 at Uma Paro. We know all about Mexican hot chocolate (yum), but a Mexican chocolate mask is another thing entirely. Turns out, chocolate softens and nourishes the delicate face (as well as the rest of us.) Sense, a Rosewood Spa at Mayakobá includes a chocolate mask in their Mayakobá Signature Ritual. The spa takes advantage of its Yucatan locale and uses pure cocoa powder from a nearby plantation. 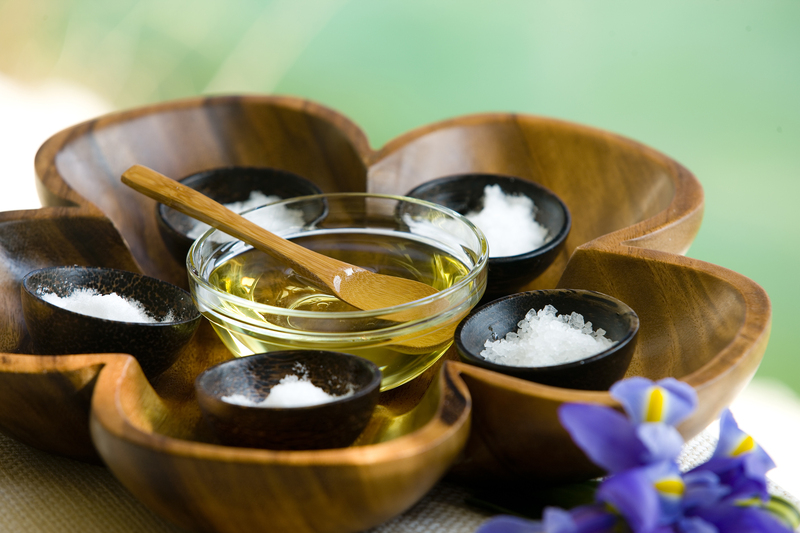 Local ingredients are incorporated elsewhere – for example, every treatment at Sense begins with a foot ritual using native chaya and lime. So, not only will you be relaxed afterwards, your feet will smell divine.